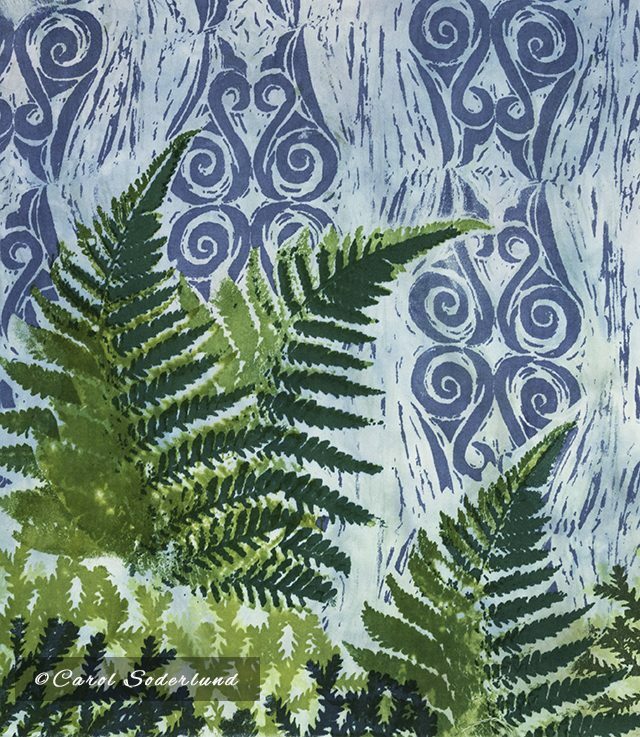 Ferns abound in New Zealand, but they are more than just a natural presence there—they are a cultural presence too. The symbol of the silver fern, in it’s many forms and variations is very much in evidence everywhere you look in New Zealand, from the airplane you arrive on, to the dinnerware you eat from, on every piece of signage and every brochure, on mugs and jewelry, caps and tees. 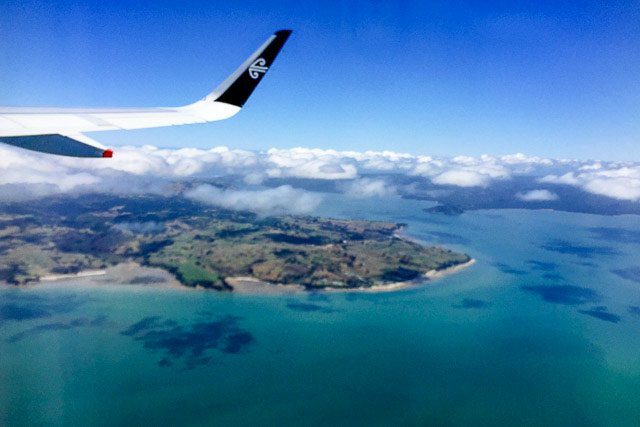 We head to the north island on NZ Air, which proudly displays the Koru on its planes. For the indigenous New Zealanders, the Maori, the silver fern was an important symbol used in jewelry and in carvings decorating their meeting houses. 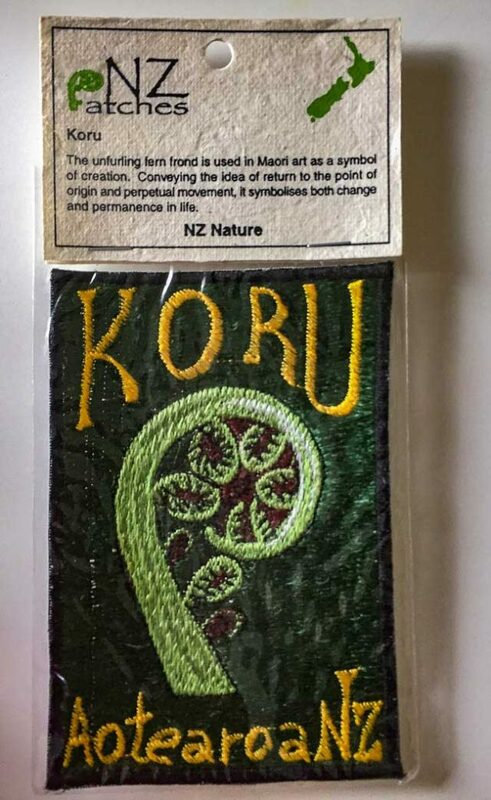 Called the Koru, (the Maori word for “loop“) the spiral shape is reminiscent of the form of an unfurling frond. It symbolizes new life, growth, strength and peace. 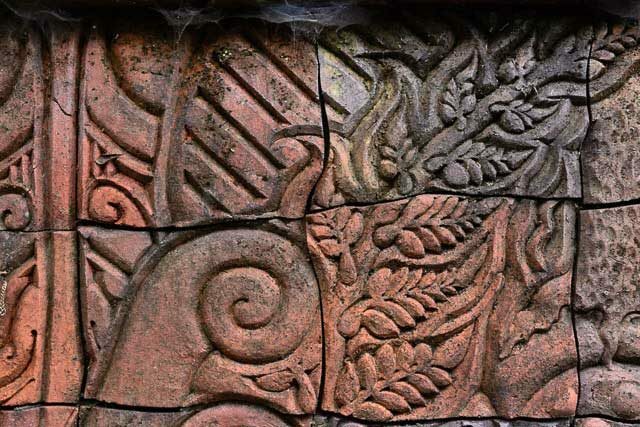 Art depicting the Koru is quite in evidence. One piece I really enjoyed was a fired clay mural in the town of Coromandel. 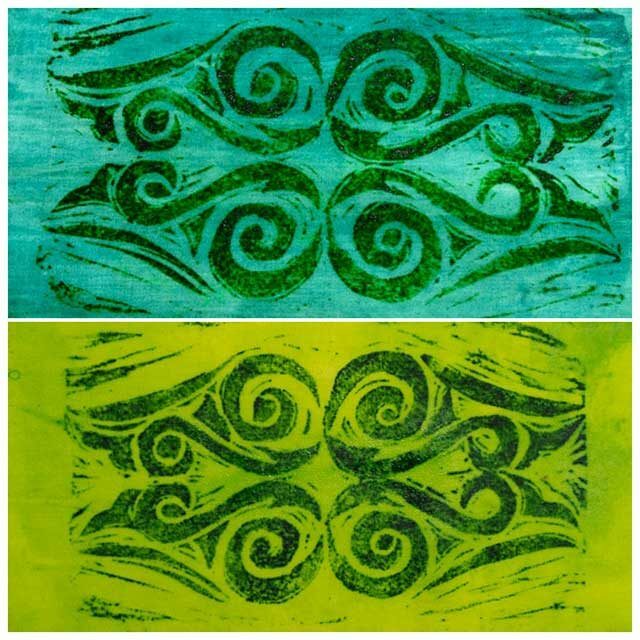 Including the Koru in my printmaking seemed a wonderful way to mark this journey. 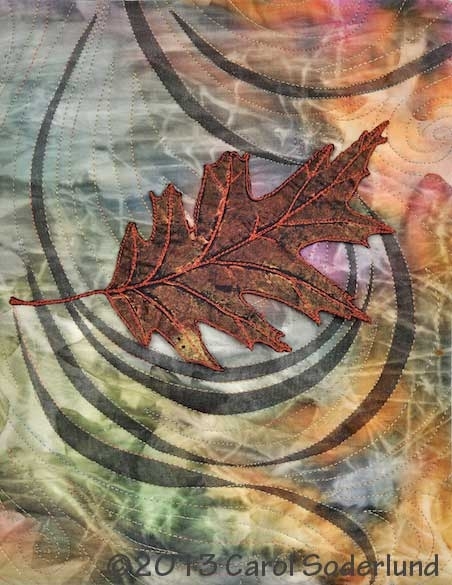 I honed in on a design of loops and spirals and hooks, as in a lot of the jewelry I had seen. What type of tool would suit the design? A stencil was an obvious answer, but that would lead to very clean lines. 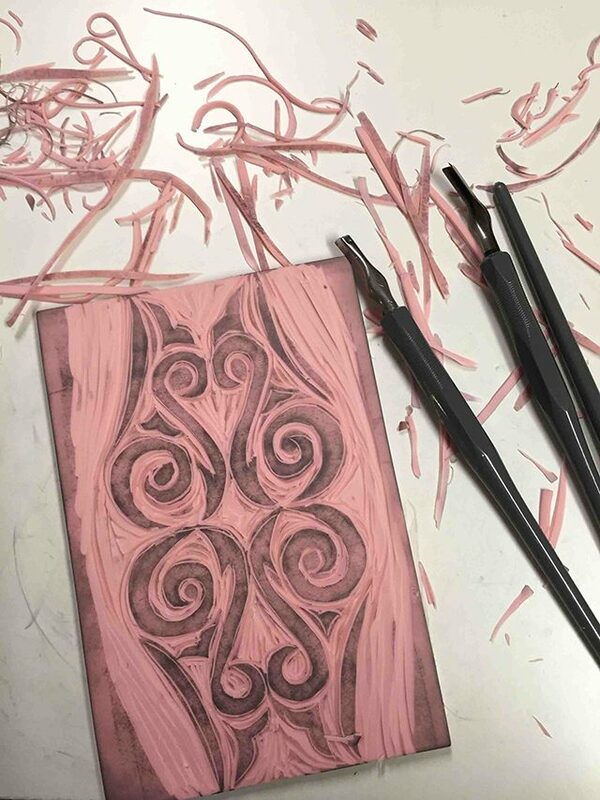 I chose to interpret the design in a carved block, reminiscent of the Maori carvings I saw in the museum in Christchurch. I kept the carving deliberately rough, to hint at wood grain. Here are my test patches. 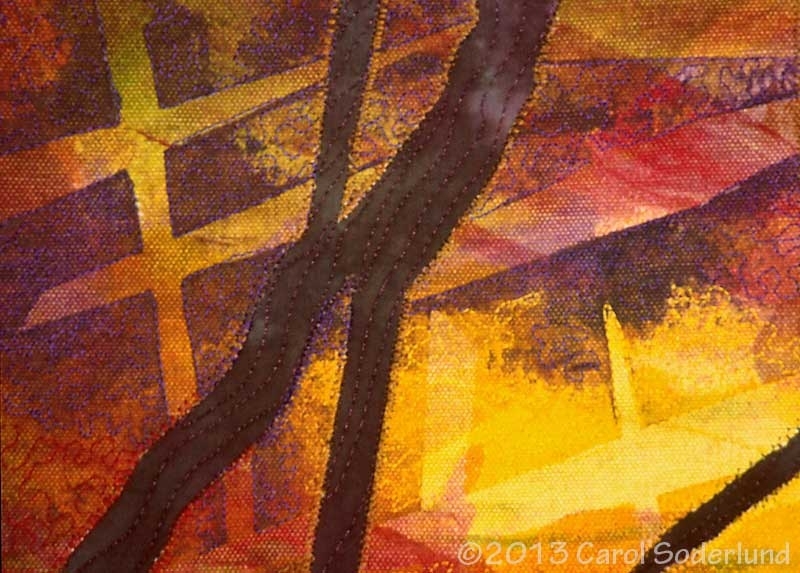 The next step was to incorporate it onto several pieces in progress. 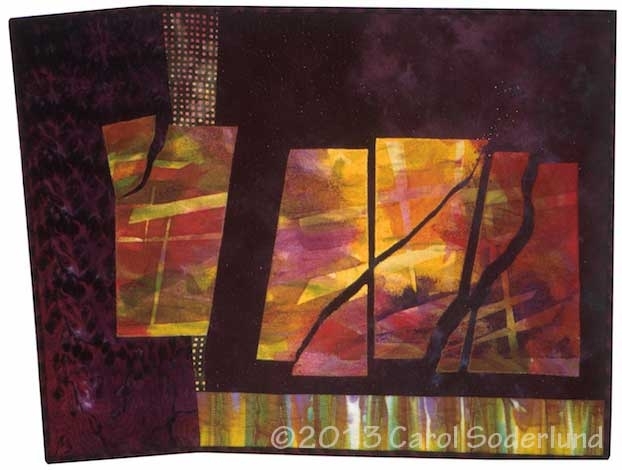 Here it is on a small piece of sateen, first used to test Thermofax screens. 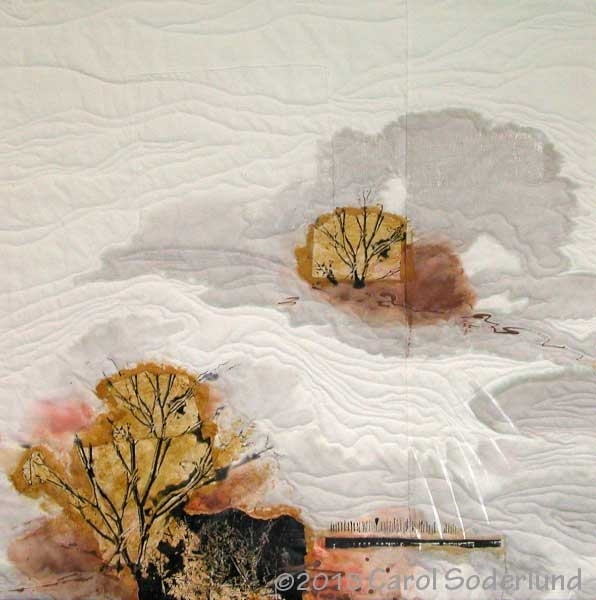 The test piece, in its initial stages. . . . 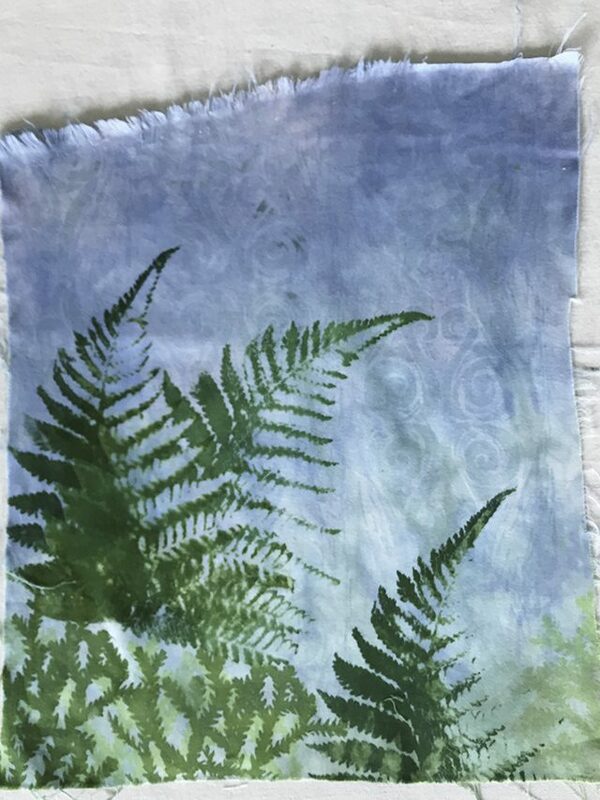 Finished test print of ferns with block printed background; now to quilt it! 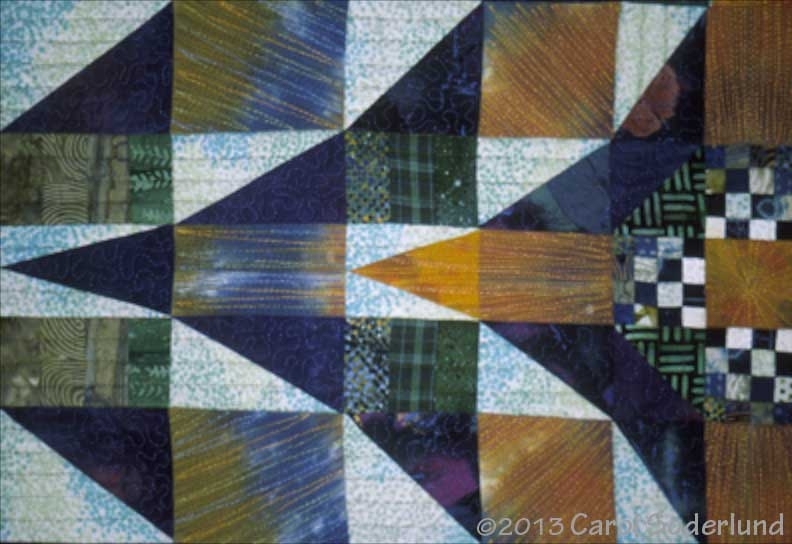 This measures about 11 x 12, before quilting. 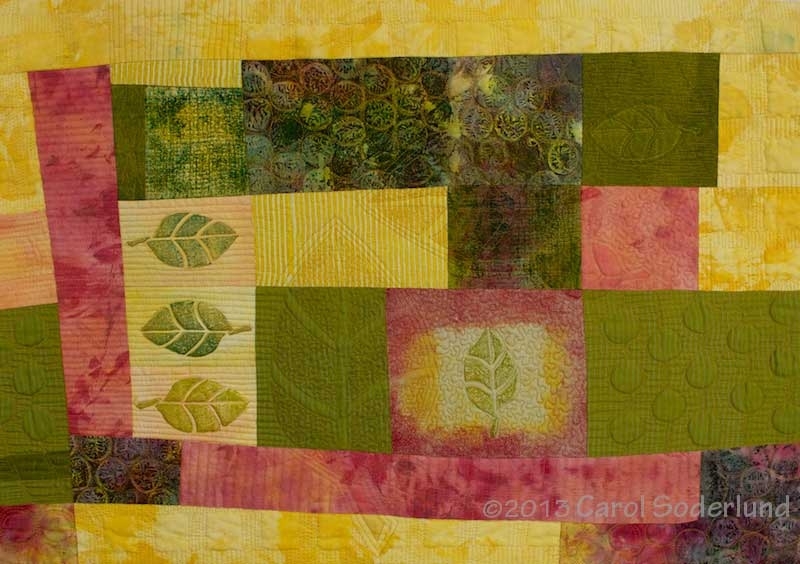 I am looking forward to seeing what quilting adds!